Sword Art Online: Hollow Fragment is a video game by Bandai Namco for the Playstation Vita, which provides an alternate telling of the story from the light novel series. 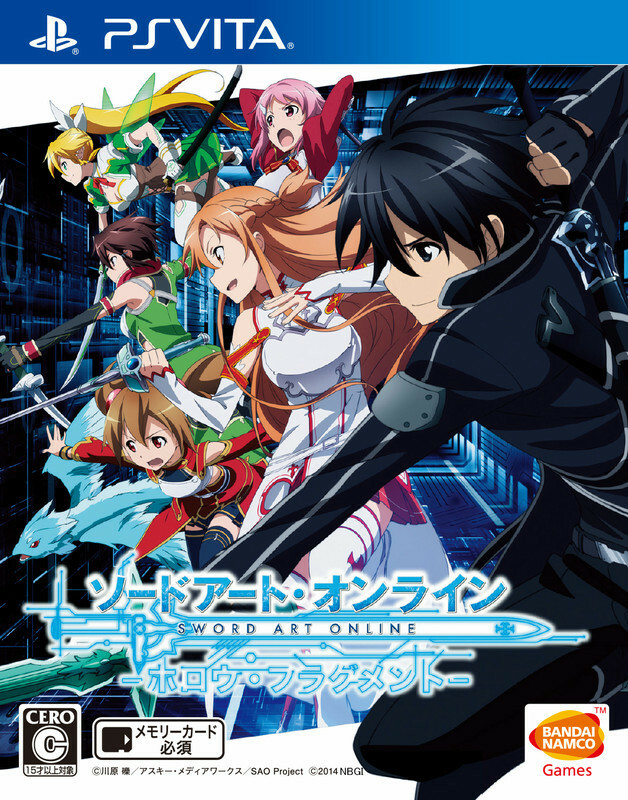 It is a role-playing game in which the player, as the protagonist Kirito, fights through dungeons alongside other characters from the series. The Hollow Fragment game itself is not an MMO, but is designed to mimic the style of the story’s “virtual reality MMO” setting. The title is available digital-only for North America on August 19th (at $40), and for Europe and Australia on August 20th. The game released in Japan on April 23rd, where it has since received a patch expanding the game–this update will be brought to the West in September. Also worth noting is that Hollow Fragment will also include the Japan-only PSP game Sword Art Online: Infinity Moment, with enhanced graphics. I bought this the day it came out on the EU store. The translation is erm… interesting. Yes, I’ve heard less than favorable reactions to the translation from some of the people playing this. Something you’d think wouldn’t be an issue anymore in this day and age, but companies sometimes rush these things unfortunately. It’s not as terrible as some would make out, but from time to time you do get lines that are oddly worded.